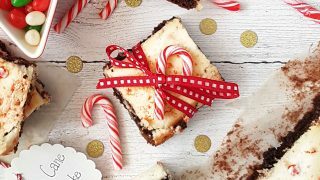 These little hot chocolate stirrers make an ideal gift, simply stir into hot milk to enjoy! Feel free to experiment with flavoured chocolate, just be careful it’s not got ‘lumps’ in such as nuts or fruit. 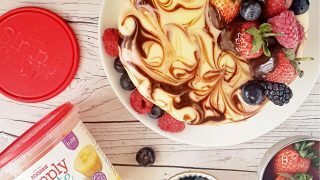 For our recipe we cleaned out six fromage frais pots, lightly oiled the inside and used them to set the chocolate in, you can use any pot of your choice. 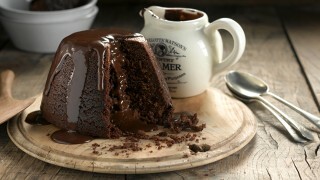 Melt the chocolate in a heatproof bowl over a pan of simmering water – do not allow the bowl to touch the water. 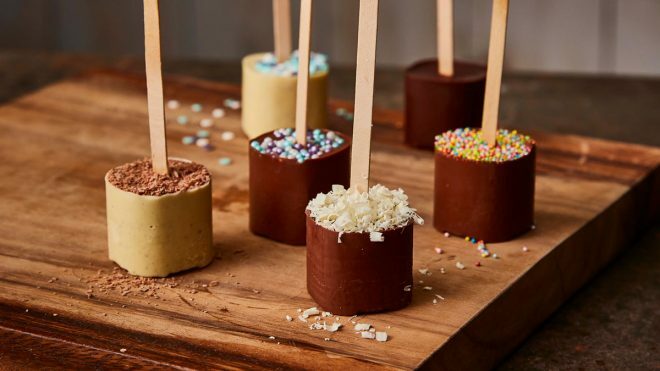 Pour into the pots, place the lollipop sticks into the centre of the chocolate and add your chosen decoration then place into the fridge to set. To make the hot chocolate, simply stir into a mug of hot milk.